Hey wake up all you pallet lovers out there pals. This is a high time for you really because we have some really marvelous ideas of living room furniture out of wooden pallet. As we are buckled up to keep supplying you with the basic and different inspirations, this is absolutely upto you guys that how do you exploit it. Look at this living room furniture, entire set up including the center coffee table, couches and side tables are very smartly recycled with the pallet wood. This is just an awesome atmosphere where pallets are being used in the best possible manner. The next inspiration in the living room furniture idea is a TV stand. 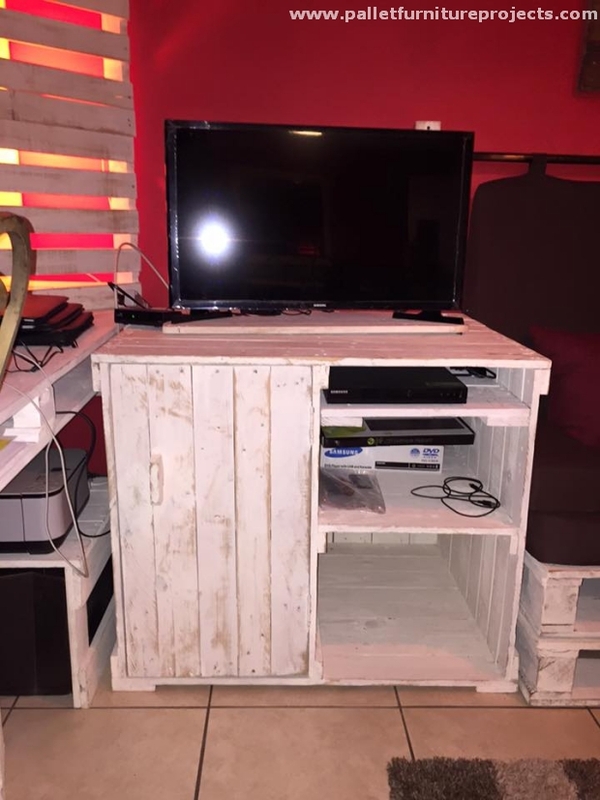 Obviously it is the need of every house, you me and all of us need a fine TV stand for our houses as LED is not a cheap product that could just be placed on ground or anywhere, it is a damn sensitive and delicate device to think of upcycling a pallet TV stand by recycling. It is high in stature, having all the due drawers and cabinets where you can place some additional installations supporting to your TV set. 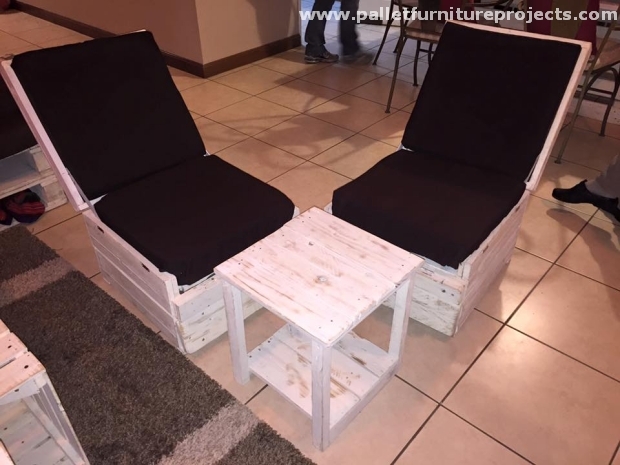 Well, here is another awesome set up of living room where a smart pair of couches and a center table is recycled with the pallet wood. This is just some intensive personalization of your living room by displaying this raw and rough wooden pallet furniture as your signature. Also as symbol and trade mark of your aesthetic taste. 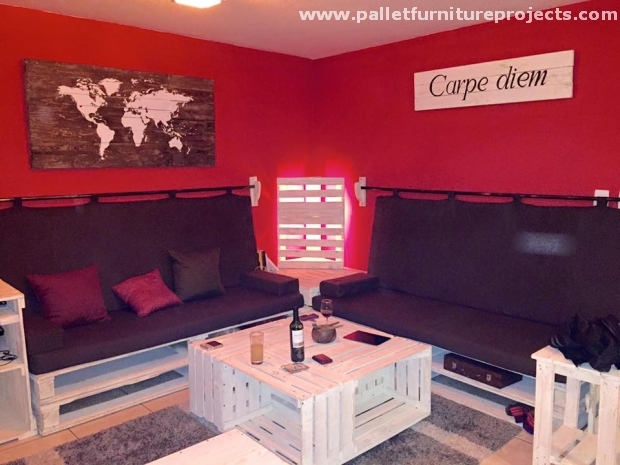 This living room furniture upcycled with the wood pallet is just all about modification and personalization of your living room just to make it look like the way you want. Pallet repurposed couches and table is a wild sort of addition in your decently organized room interior.